The only thing possibly more powerful than being that kid lighting up, is being one of the people who helped make it happen. That’s what STOMP is all about! 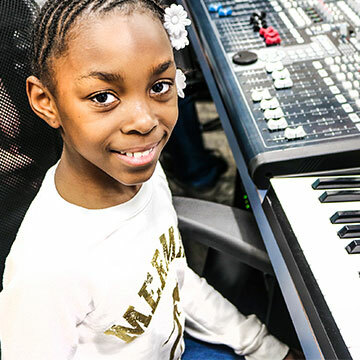 The Student/Teacher Outreach and Mentoring Program (STOMP) brings students and teachers from the Uptown Music Collective together with volunteers from the community, to provide music education and enrichment programs, to local after school and youth development programs. 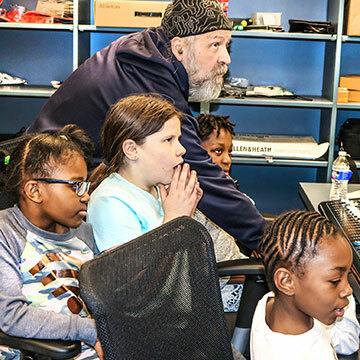 This program gives students at the Uptown Music Collective the opportunity to use their knowledge and talents to change the lives of young people through peer to peer tutoring. All student tutors are given special training and follow the same UMC Curriculum used in instrumental and group teaching at the school.